I never thought I would sa y this about any reality shows but watching CNBC’s show “The Profit” is not only worth your time but it will actually make you money. It’s a show that should be shown in every high school, colleges and universities all over the world because it focuses on the fundamentals of business “People, Product and Processes” Marcus Lemonis 3 fundamental philosophies to success. On the surface it’s hard to imagine this show would be a hit. Marcus is a low key all around nice guy who is not one for theatrics and drama. He instead mirrors the powerhouse entrepreneur rather than the cocky business reality show nut job that is usually required to get ratings in this day and age. Tony Robbins reality show on NBC was cancelled after two shows because nice positive messages don’t get ratings. As someone who owns a lot of businesses all around the world and speaks in over 31 countries to over 100,000 of people each year I have to say even I find learning from the professor Marcus Lemonis. He has a way making business fun, simple and as long as you stick to the 3P fundamentals you can succeed. Marcus says that he gets over 40,000 small business vying for his help and by watching the show it outlines probably a bigger problem why so many small businesses don’t make it. They don’t have coaches and mentors, they don’t read publications like INC, Forbes, Fortune, Entrepreneur, Wall Street Journal or read books to mind feed. How can you do business and not read and improve subject matters that are essential to your business. Imagine the doctor telling you he has not read any medical reports, data or case studies over the past 15 years, would you trust him or her to treat you. I would run as fast as I entered the doctors office. The field of medicine has vastly changed over the past years and to assume you can treat patients in the same way as you did when you first learned it is not only ignorant but borderline criminal. The field of medicine constantly changes and new innovation and advancement has radically changed the field. The same thing can be said in business, if you have not changed and improved your skills then your chance of success are virtually reduced to nothing. You can’t do the same thing 15 years ago and expect it to work in today’s market. Remember how you change is how you succeed and the choices you make determine the reality of your outcome. So if you want to succeed watch the show and emulate what “the professor” Marcus Lemonis is doing and if you want to find out what not to do in business just pay attention to people where Marcus is trying to help yet they ignored his advice companies like Skullduggery, Pro-Fit and Stiches and do the opposite. Sometimes I find myself wanting to pull my hair out and I want to scream at the television and say “OH MY GOD JUST DO WHAT MARCUS TELLS YOU TO DO!!!!!”. But most people are stuck in their own ways and they keep doing the same thing over and over again and expect a different result, that’s insanity. So I own over 50 companies and brands all over the world and I find myself learning from “The Profit” on CNBC. In fact I think it’s made me a better businessman. Stop the insanity and start watching the show because you are getting a free education and a glimpses on how to make small businesses great in this country. 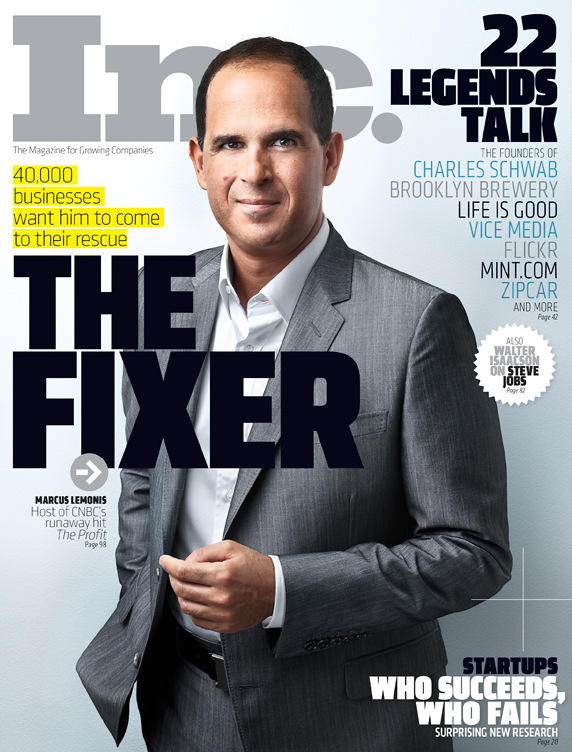 So to the” Professor” Marcus Lemonis, hats off and much respect for your love for this country and entrepreneurs. We all need heroes, models and coaches in our lives and after 2 seasons of The Profit on CNBC, Marcus is my new hero. Excellent post JT and I totally agree. One of the best show on TV.